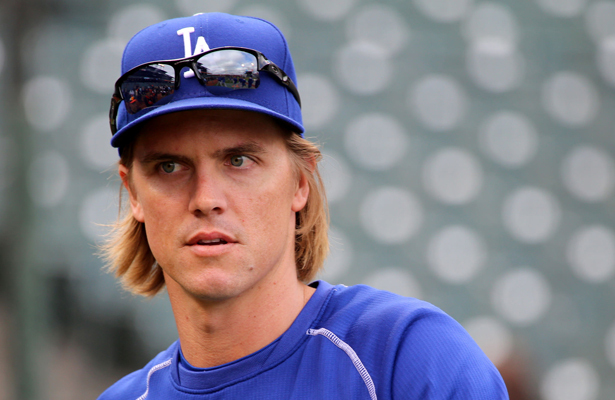 Arizona Diamondbacks new ace Zack Greinke will pull in an estimated at $34.42 million per season, which is the largest annual salary in the history of Major League Baseball. The Arizona Diamondbacks finalized a six-year $206.5 million contract with Zack Greinke last Tuesday to lure the top remaining pitcher in free agency from the Los Angeles Dodgers and the San Francisco Giants. The average annual salary for Arizona’s new pitcher is estimated at $34.42 million, which is the largest annual salary in the history of Major League Baseball. David Price signed a seven-year $217 million contract with the Boston Red Sox, which had previously held the record for annual salary for starting pitchers at $31 million per season. Greinke’s contract is the largest free agent pact over the last eight seasons combined in Diamondbacks’ franchise history ($201.725 million distributed to 28 players) according to ESPN Stats and Information. The Dodgers will be compensated for failing to resign Greinke, while Arizona will lose the 13th overall in the upcoming draft. “We made a strong offer to retain Zack but clearly he found a deal that fit better for him and his family,” Dodgers baseball president of baseball operations Andrew Friedman said in a statement . Arizona used the cash it had saved up over the past few season from trades and their new television deal, which kicks in beginning with the 2016 season to lure a pitcher who went 19-3 with a 1.66 ERA in 2015 and has a career record of 142-92 and an ERA of 3.35 in 12 seasons with Kansas City Royals, Milwaukee Brewers, Los Angeles Angels of Anaheim and the Los Angeles Dodgers.